Back to being a normal joe-schmoe over here. It was exciting to Guest Host at Freshly Pieced! I tried to hit as many as the linkups as I could...but there were 120+. I got about 75. Can you forgive me if I didn't make it to you!??!? I really had fun doing something that was completely different than the way I normally decorate my home. I have been thinking about doing more for the boys' game room! I am done basting all of my 172 red, 155 blue, and 157 black/white hexies. 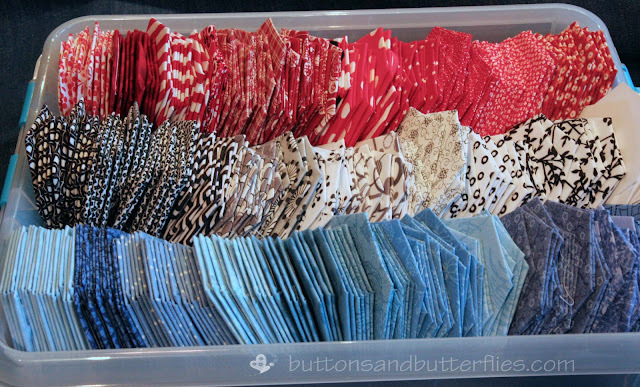 A grand total of 484 hexi yumminess! I still need to figure out how I am going to fifty stars. The pattern from Hexa Go Go suggests that you use fabric paint on white. I, of course, am contemplating on making it more difficult. 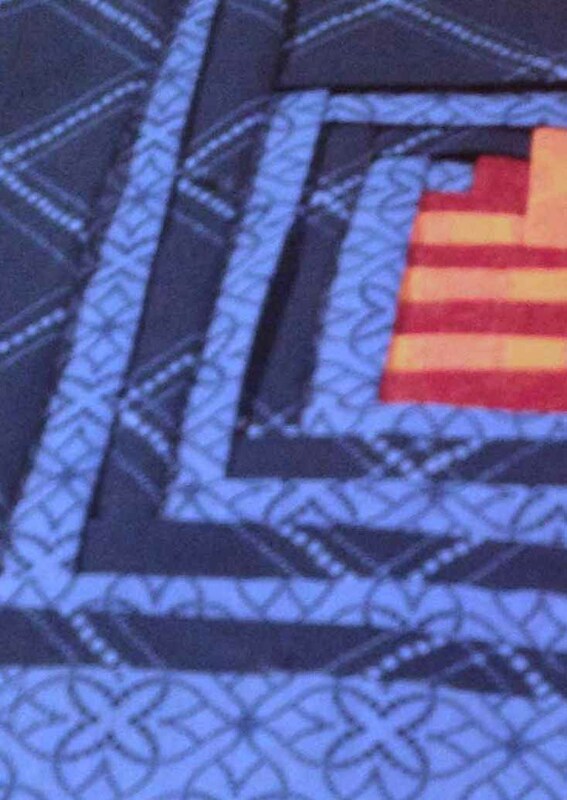 Possibly applique, possibly embroidery. The only problem is that I will have to pre-applique/embroider before I baste the hexies. So that would require being very thoughtful about it. But I still have 7 months to work it out!! Has transformed this week from a plain pink quilt to this. I will be busy appliqueing seersucker turtle backs and Kona bodies. Currently, I have swelling in my right hand. I suspect it is a complication from my surgery, so I decided to take it easy for a few days and see if the swelling goes down and meet with my doctor this week! The flowers are my favorite so far! The block for the blog hop Something New Sampler has gone through some interesting transformations! A sneak peak. These aren't the final fabrics. I was playing with some scraps! Look for me on Monday to post the tutorial. Amy at cute life posted her Modern Bargello this week! I haven't had a lot of time...I hope to cut it this week! I was a bit distracted by my hunt for fabric I fell in love with for drapes in another room. I think he is cool with it. Sock puppet shows while in carpool line seem waaaay more important to him! Nothing else new...there have been a few QALs calling my name, but I have this post-it on my computer. To remind me that I have things that need to get done! Thanks Julie for the idea!!!!! I can't get over the number of hexies!! Love the picture of button! What about a little embroidery in the white hexies to make the stars? I can't imagine how the quilt is going to look completely, but just from the beautiful colors you have there I know it will be wonderful! What a lot of great projects. 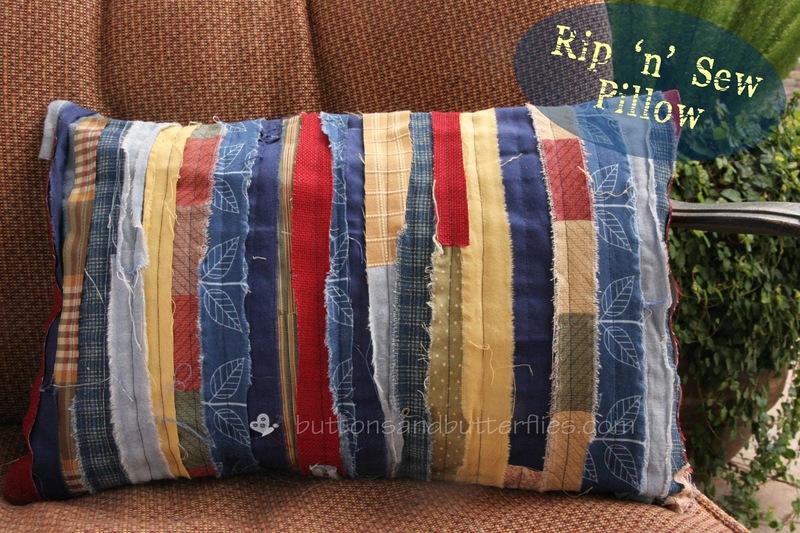 Like you, the rip and sew pillow is not my taste, but I have to say it is really cute. I might have to try one. Those hexies lines up by color are so pretty and neat and tidy! I hope the swelling goes down and fun post. 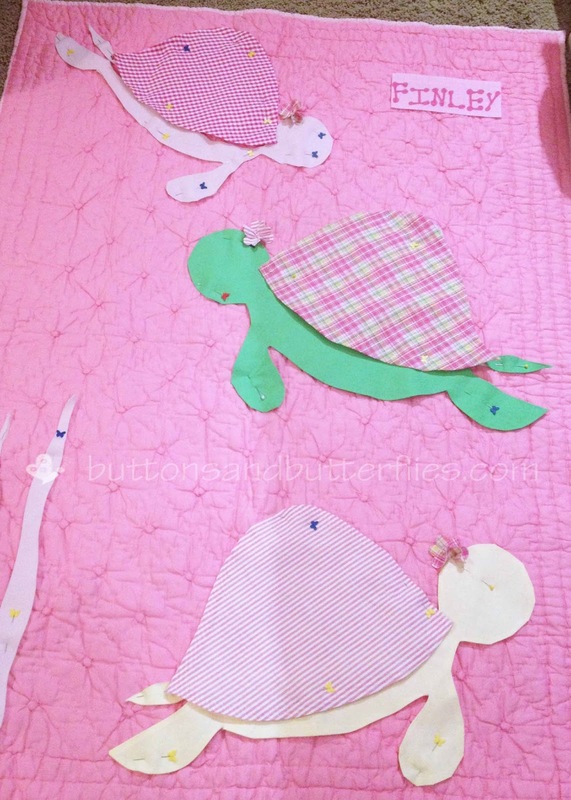 I LOVE hexies and applique! Oh I need that post it too!! I just get sucked in so easily!! Love those hexies!! good luck with your fabric find! Can't wait to see the scoot quilt!